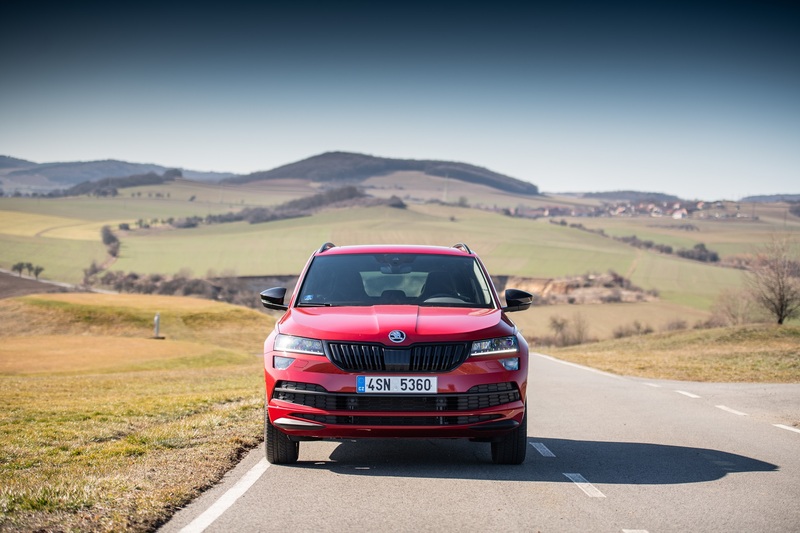 Whether you need to drive quickly over the broken rural roads between one rally stage to another, or just enjoy a weekend trip, the ŠKODA KAROQ SPORTLINE is here to offer you a surprisingly dynamic experience. The ace up its sleeve? 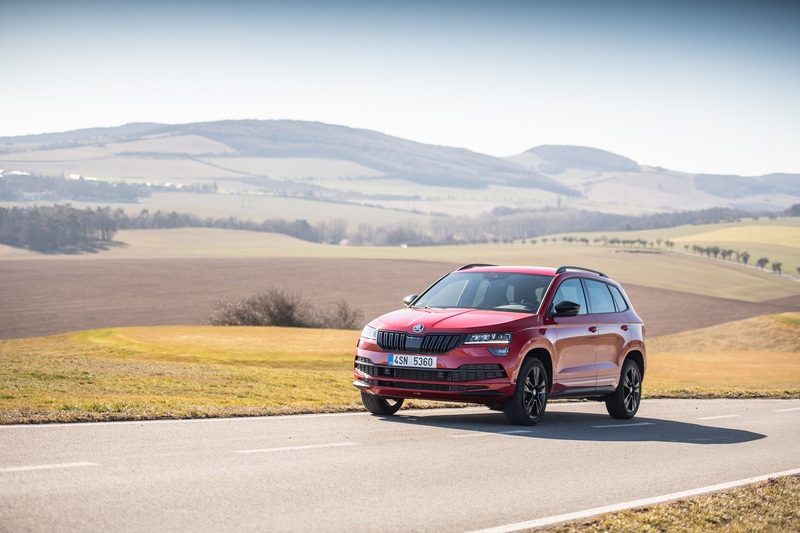 The fine-tuned suspension, which builds on the best traditions of Czech engineers. 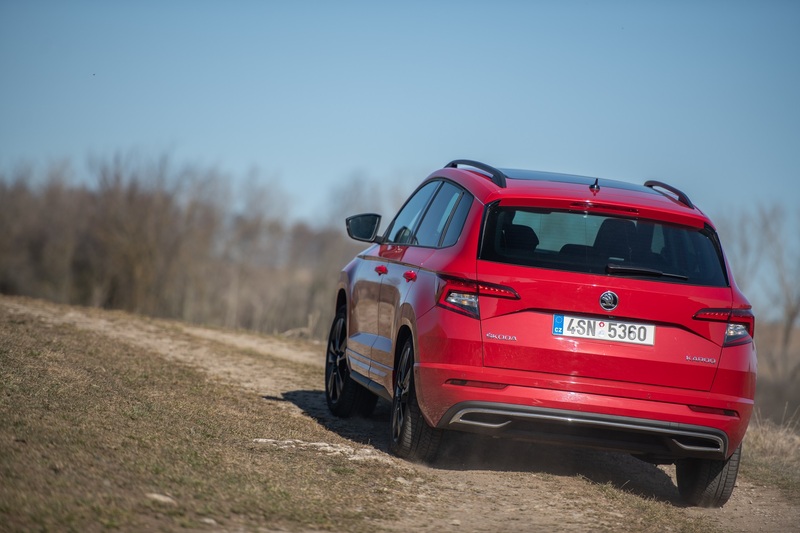 KAROQ SPORTLINE is a sporty SUV with a bit of rallying DNA. You can tell the SPORTLINE from other KAROQ variants at a single glance. It’s got modified front and rear bumpers, and exclusive 18-inch Mytikas light alloy wheels in black are supplied as standard equipment. The optional 17-inch or 19-inch wheels, also in black, is available. 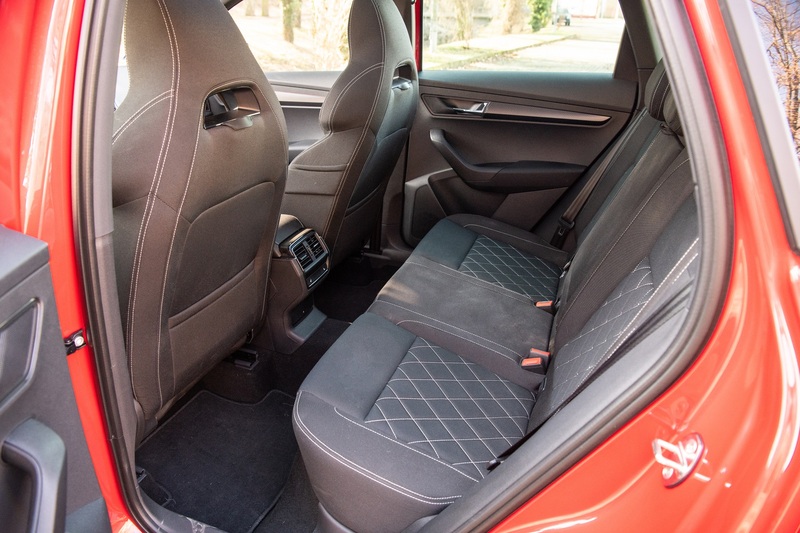 The interior’s got some sporty flair as well, dominated by black sports seats with prominent side bolstering and integrated headrests. 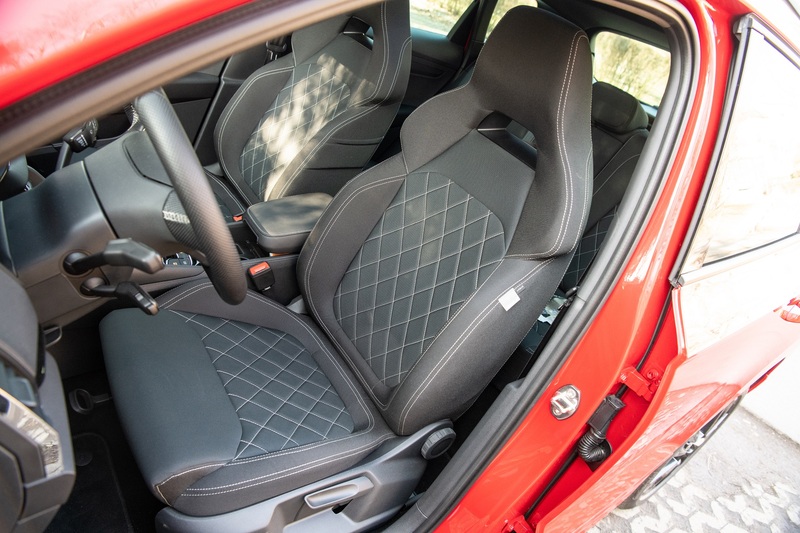 Like true racing seats, they’re upholstered with cloth to better grip the bodies of the driver and passenger. A multifunction steering wheel and stainless steel pedals are identical to those found in RS models. The sporty character is emphasised by the black headliner and pillar trim. 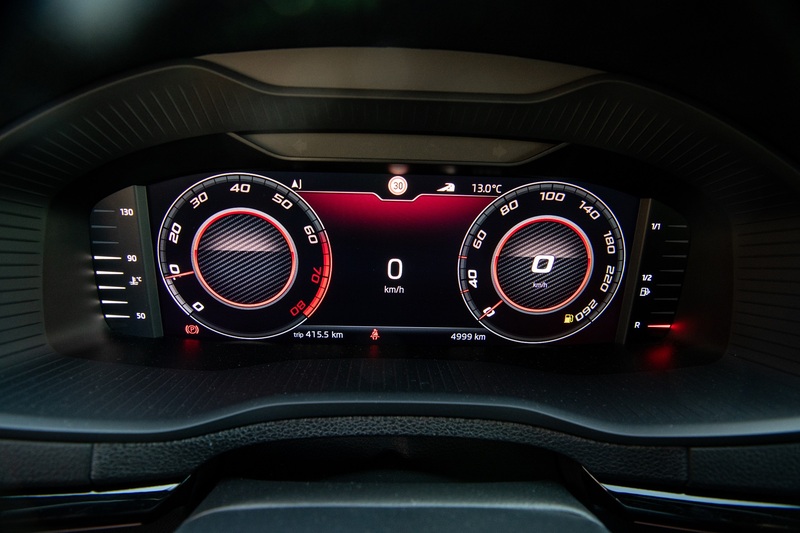 The KAROQ can be optionally equipped with a virtual cockpit instead of an analogue instrument cluster. The SPORTLINE variant adds a special sports layout besides the four modes offered as standard, displaying a large rev counter with the speed readout in the middle. 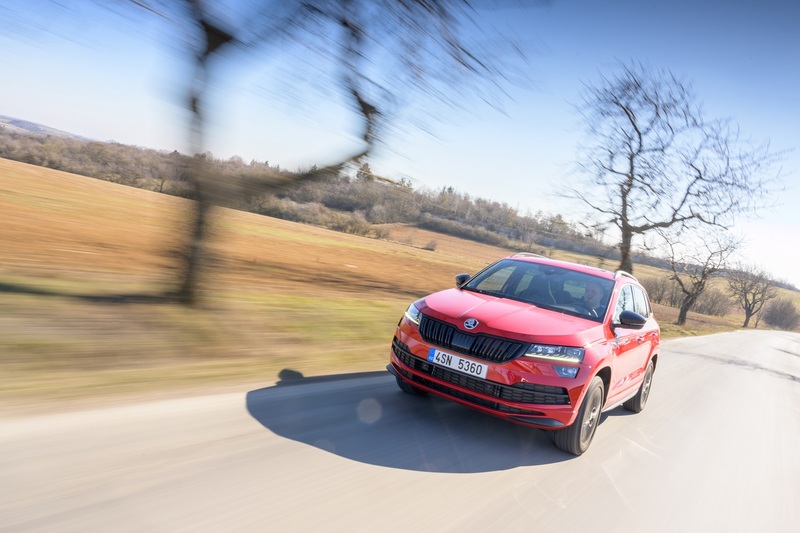 The boot offers not only a large capacity, typical for ŠKODA cars, but also a clever system for fastening of the cargo, which is great when you want your racing helmet, pacenotes or racing overalls to stay in place. A lot of effort has gone into the suspension setup, which is a bit like the gravel setup for the FABIA R5 rally car. 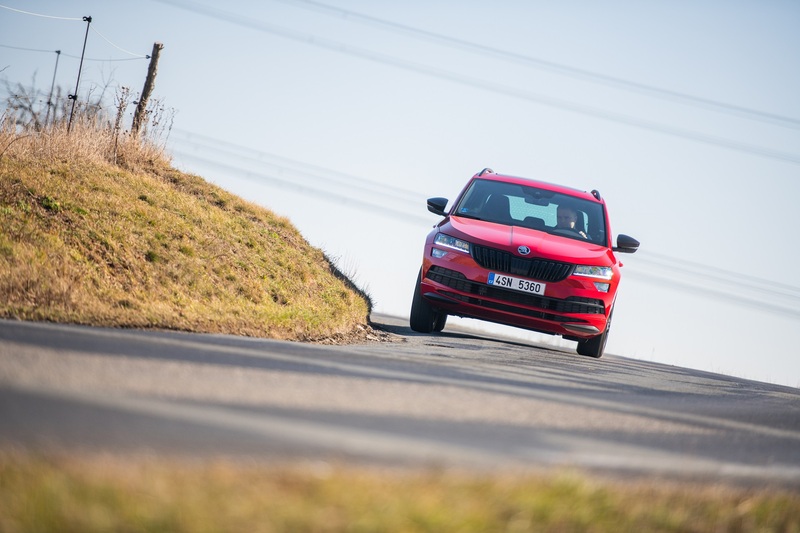 It offers a great compromise between softer shock absorbers and dynamic handling. The stiff body is able to competently filter out the suspension movements, resulting in a smooth, natural ride. 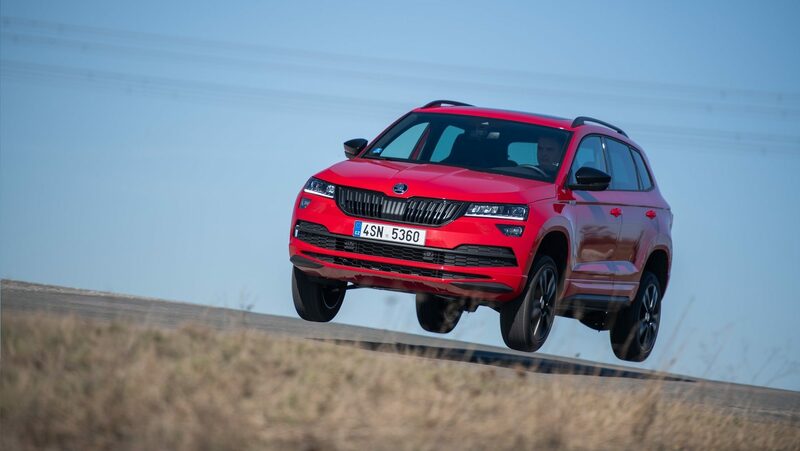 Softer shock absorbers provide enough grip even on bumpy surfaces, which is, as rally drivers can attest, important for keeping total control of the vehicle at all time. With harder suspension settings, the wheels have a tendency to bounce, dramatically compromising the car’s handling. 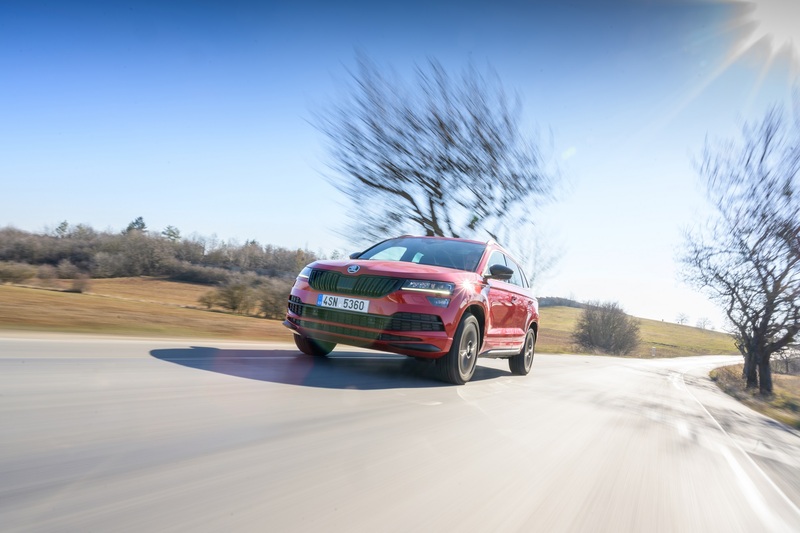 The ŠKODA KAROQ, on the other hand, works well even on broken roads, and provides exceptional comfort to its occupants without losing its quick, precise responses. It’s even able to cope with really rough gravel roads, like those leading to the spectator zones at Rally Catalunya or Rally Turkey. 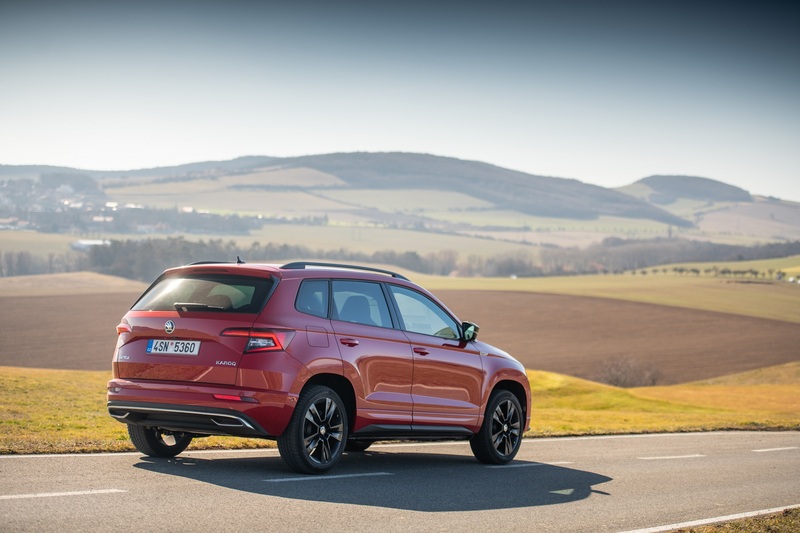 As an exclusive option for the KAROQ SPORTLINE, the 2.0 TSI 140 kW (190 horsepower) engine with four-wheel drive and DSG automatic gearbox will be available. 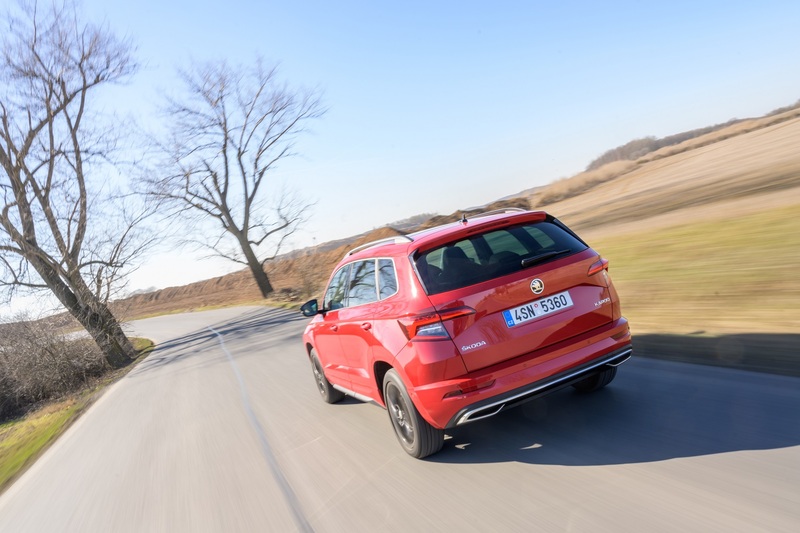 For the 1.5 TSI 110 kW (150 horsepower), a seven-speed DSG can be specified instead of a six-speed manual, and it is also possible to order a 4×4. The engine range also includes two diesel units. 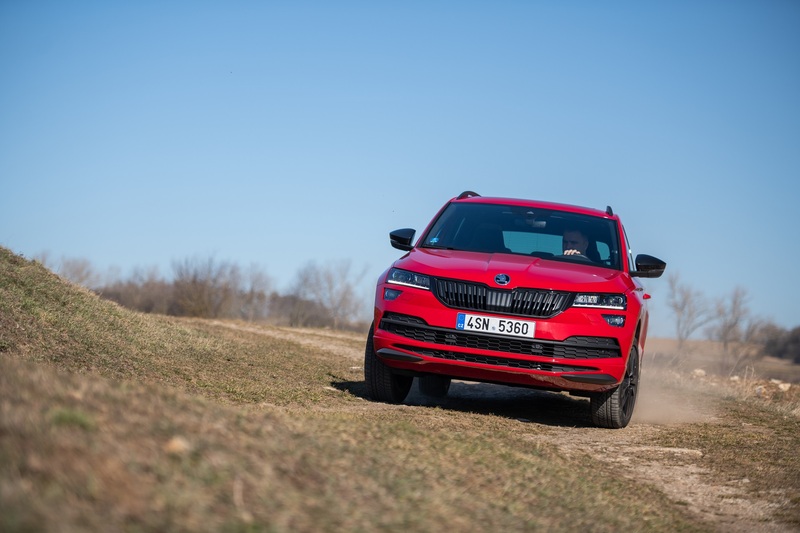 The 2.0 TDI engine with front-wheel drive and 110 kW (150 horsepower) is available with a six-speed manual gearbox as standard, and there’s the option of a 4×4 and a seven-speed DSG gearbox instead. 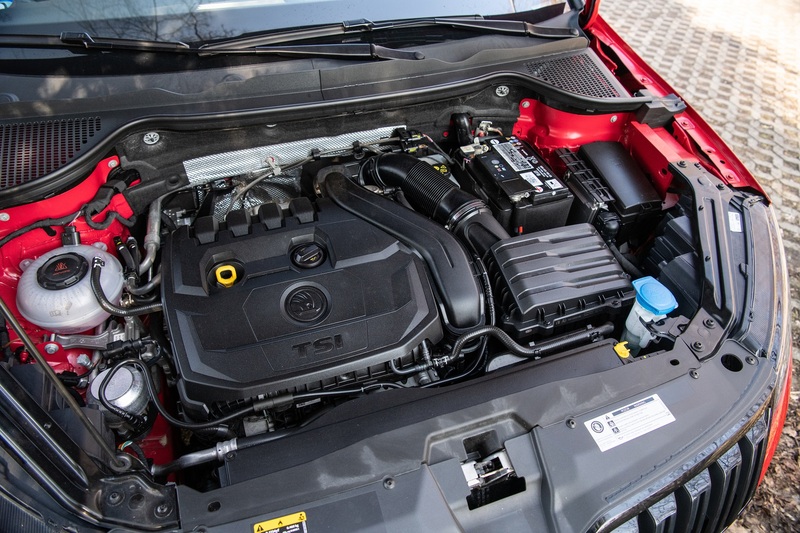 The more powerful 2.0 TDI 140 kW (190 horsepower) is offered exclusively with a seven-speed DSG and four-wheel drive.